Now a working artists' community, Tubac, Arizona is an ancient Spanish presidio, or fort, and cultural small town. 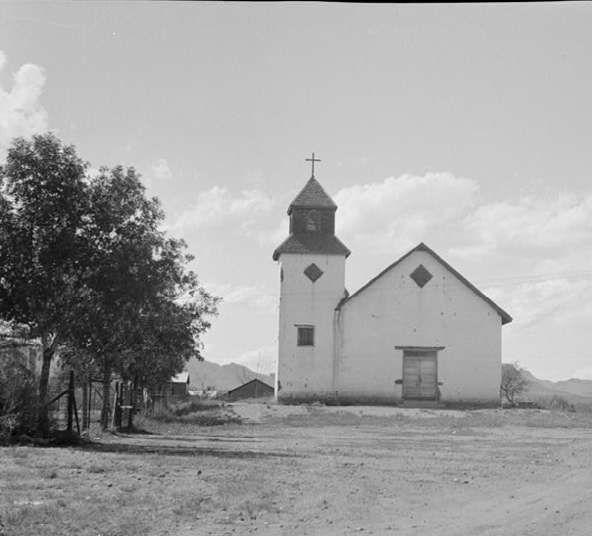 Tubac was one of the first stops on the Camino Real, the Royal Road from Mexico to its settlements in California. This community in the high desert of Arizona is extremely scenic and offers exceptional recreational opportunities. The streets of the town are lined with old adobe homes and many interesting shops. There are several good restaurants here, even though the town’s population is only about 950 people. There is a community center and a small library. Outdoor activities like golf, birding, hiking, and mountain biking are world class. Peña Blanca Lake is about 30 miles away. The Tubac Festival of the Arts is an annual affair that is not to be missed. Tubac is located in Santa Cruz County. There are several active adult communities in the affluent Tubac area. They tend to be upscale and expensive, reflecting the desirability of living in this idyllic community. All the homes are in the southwestern adobe style. At 62, the median age of the population is older than in most places (indicating it is a popular retirement location). As of mid 2014, the median list price of a home varied between $150,000 and $300,000 (due to the small size of this community, any reporting is quite volatile). Zillow reported the median list price was $385,000 in early 2019. The summer heat is oppressive, even at 3800 feet. Other than Tucson, it is very far away from the rest of the U.S. It is a very small town and the average age is old. Unemployment is very high. 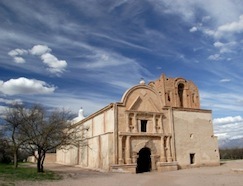 Tubac is located on the Santa Cruz River on the southern border of Arizona. It has an altitude of 3857 feet, which keeps it slightly cooler than Phoenix or Tucson in summer. Tucson is 42 miles away. Tubac has been an artist’s colony for the last 50 years. There is an annual Arts Festival and more than 30 art galleries. The Tubac Historical Society is here and worth a visit. Every February, the Tubac Chamber of Commerce is proud to sponsor the Tubac Festival of the Arts. The major event of the year for Tubac showcases the work of hundreds of visiting artists, craft persons and musicians from around the country and Canada. While the show is juried for quality, it is not pretentious. Serious paintings share exhibits with whimsical sculptures. Crime in Tubac tends to hover around the national average. Carondelet Saint Joseph's Hospital in Tucson is 45 miles; Carondelet Holy Cross Hospital in Nogales is 20 miles.